Vacation rental house. Sleeps 14, 5 bedrooms, 4 bathrooms. Dogs allowed. Our experience was great. We had no problems with house and didn't have to call for any services as everything worked great. House was clean and fully equipped. This is a great house. Being here during November, we had a few cool days, and the heated pool saved the day for the grandkids. 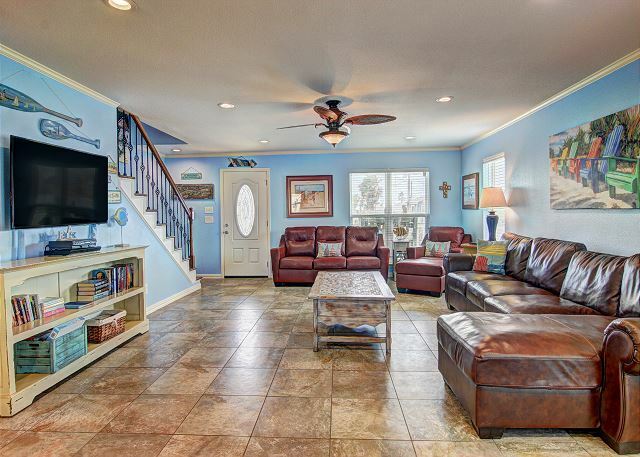 Open floor plan is great for having everyone together. Great selection of pans and utensils. Everything worked flawless. Beds are fantastic. This house was perfect and met all our needs! It was such a short walk to the beach and having the heated pool for the kids was nice too! Lots of space for all our families to have their own areas, but still come together for meals. The property management team worked with us to get us the keys and did a great job communicating before our stay. Would definitely recommend this place! My family and I were very happy with this location and the house, including the private pool. Will come back next year. Our group of friends and family had a great time at Barefoot Dreams! Plenty of room for everyone and the pool was a great plus. The room downstairs was musty smelling, but, overall, not too bad. Port A Escapes was so helpful, especially while planning our trip. We'll be back! We arrived Friday evening and they had our key ready in a super easy lock box. We arrived inside and it was amazing, like our own little beach house. Everyone had their own rooms and we were able to all gather in the living room and sit at the huge kitchen table for dinners. The kids loved the pool and the adults loved the bungalow. Nice and relaxing and super close to the beach, we rented a couple golf carts and it made it sooooo easy. We loved it. Our family of 14 came to Port A for 4 days. Each of the 4 couples had a beautifully decorated bedroom and a bathroom plus a bedroom for the kids. The pictures dont do it justice. It has a wonderful beachy feeling. It is a block or 2 from the beach and we took our rented golf cart to the beach, pier and ship channel everyday. Even better than the house was the pool and back yard. It was a perfect size. The deepest part was 4 1/2 feet. Two of the little ones learned to swim in it! At night the pool light turned violet and some of the adults hung out down there. We drank coffee on the breezy front porch every morning. Loved the house. We stayed here Aug2-5 and it was very clean and spacious. The decor was super cute and fit the beach theme. I never made it to the top floor but the family upstairs said the rooms were huge! I did get to see the main floor rooms and they were very spacious. 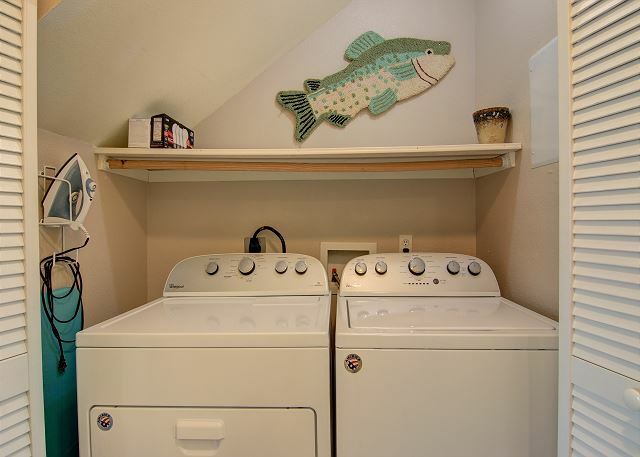 I stayed downstairs and will admit the only thing that bothered me was the strong mildew smell in the bottom rooms. It really messed with my allergies so if you have allergies maybe stay upstairs just got plug ins and it helped while we were there as far as the smell. We had so much fun in this house I've already booked for next year! We had an amazing time!! The house was beautiful ,clean, and perfect! I have been using port a escapes for about 6 yes now! Always my go to for booking my beach vacation. The complete rental process was so easy. Picking the house, payment, easy to contact office, being kept up to date on events and amenities in the area, checkout and follow up. The house we rented was the perfect size for our group. The kitchen was completely stocked with everything that we needed to cook. The gas grill poolside was fantastic for everyone to swim and visit and cook at the same time. Tons of seating for everyone. Rooms were not only very clean and pretty but they were generous in size. The outside water system was a plus for washing off all the sand on our beach toys as well as people! 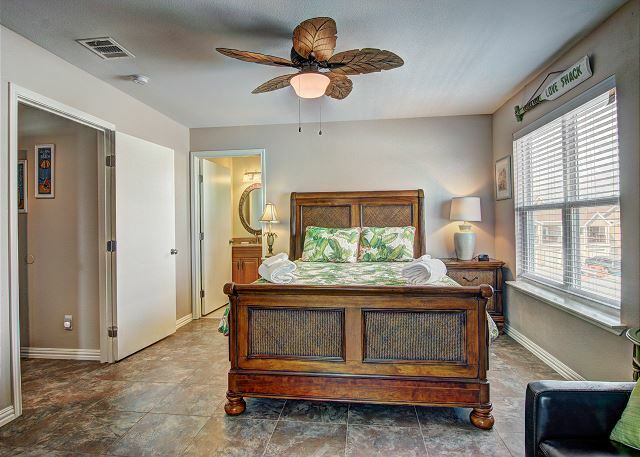 We had a great stay and will definitely be recommending this home to others. Thank you for all you did to open up your home to our family. WOW! Best Beachhouse for Us!!! We recently spent 4 nights at Barefoot Dreams, and our experience was superb! Port A Escapes is a great management company so we weren't surprised by the customer service we received there. Everyone was professional, friendly, and helpful as always. 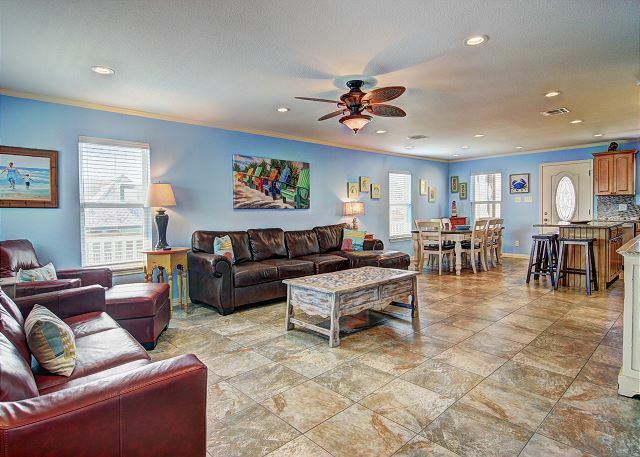 This spacious beachhouse was just what we needed for our ever-growing family. 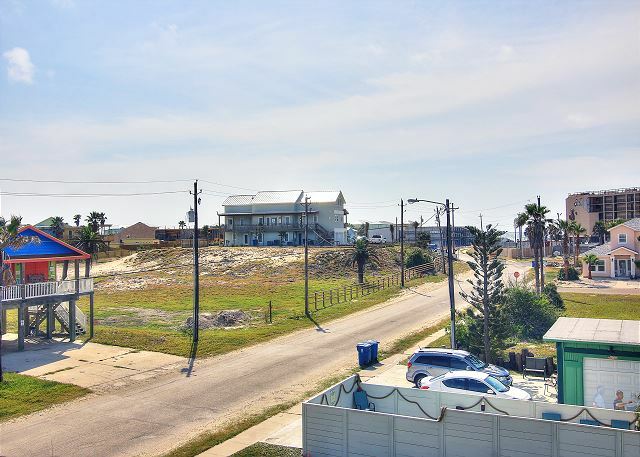 We have visited Port A every summer for almost 20 years and have stayed in rentals with more than a little wear and tear. 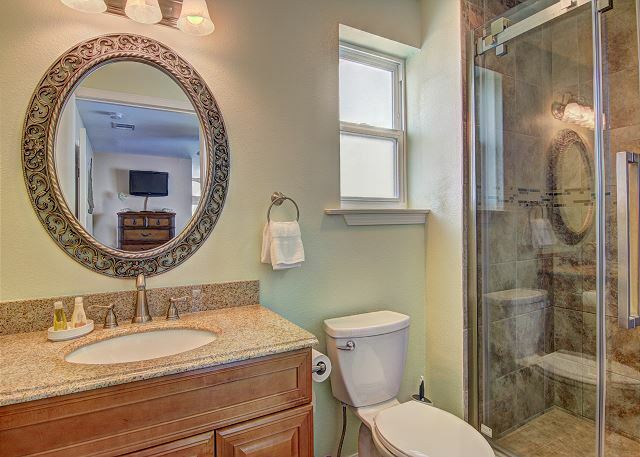 But this home is in excellent condition from top to bottom. A lot of thought and care has gone into preparing Barefoot Dreams for guests. We enjoyed the multiple outdoor sitting areas. 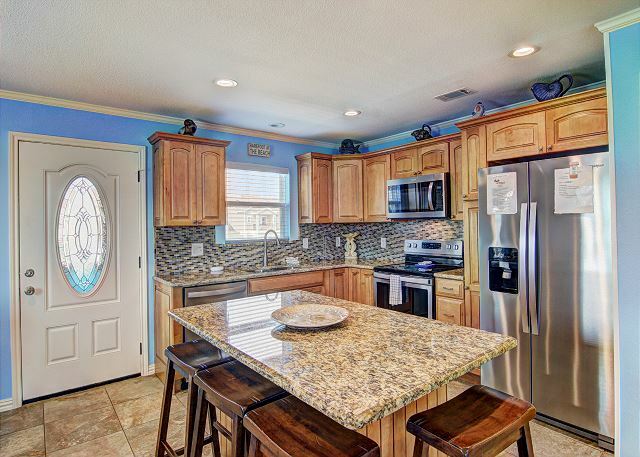 The FULLY stocked kitchen made cooking and serving a crowd a virtual breeze. A huge plus was that we all basically had our own bathroom (it wasn't necessary to share one with 6 or 7 people). But I think everyone's very favorite part was the pool area. We all gravitated to the cool water and shaded palapa where there were plenty of comfortable chairs. So, we have found our new summer home, even if it is only for 4 or 5 days per year. Our entire family looks forward to making lots more memories at Barefoot Dreams! We had a great time. 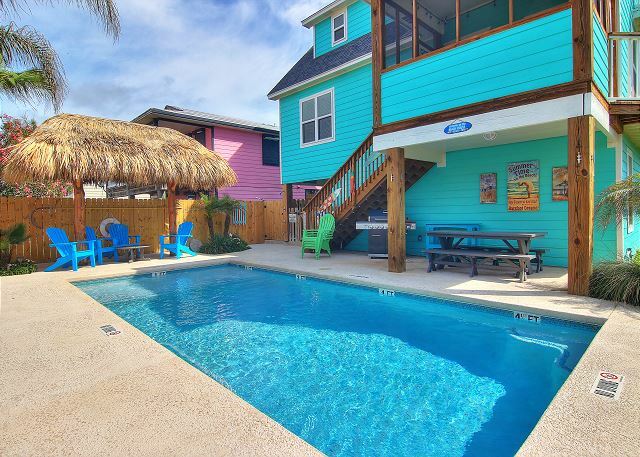 Barefoot Dream is the perfect place to stay. Close to the beach and town. The pool was a plus. Grandkids loved coming back from the beach and being able to jump in the pool and play for a few more hours. 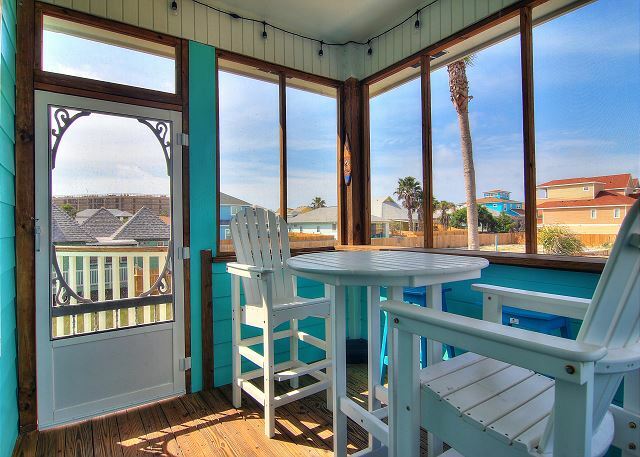 We will be back to Port A next year and will probably rent Barefoot Dream if available. 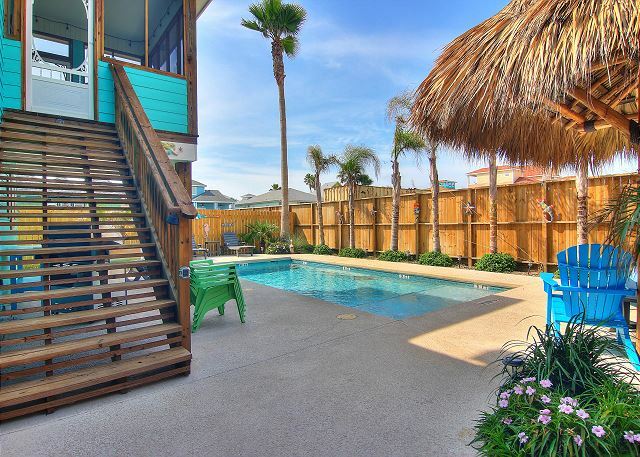 Best place to stay in Port Aransas! Our family loved this rental! It was big enough for all of us! 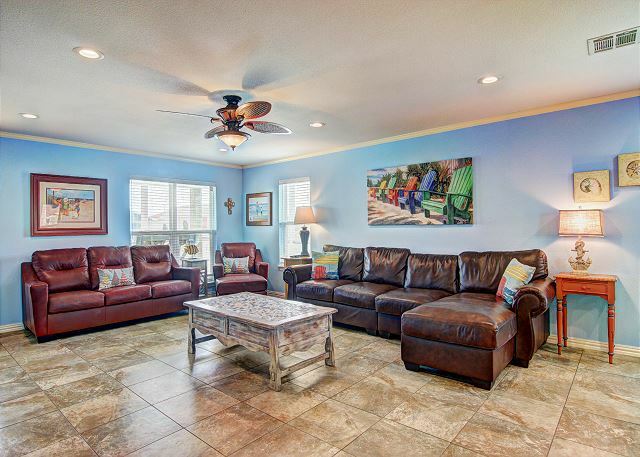 It was decorated and furnished to match the beach vacation and we absolutely loved the patio and pool area! We will definitely stay here again! Our Family had a wonderful time. The house is amazing. We all had a blast. My family of 5 vacationed with my sisters family of 5 and my mom and step dad. There was 12 of us and we had plenty of room. Location was great as well. 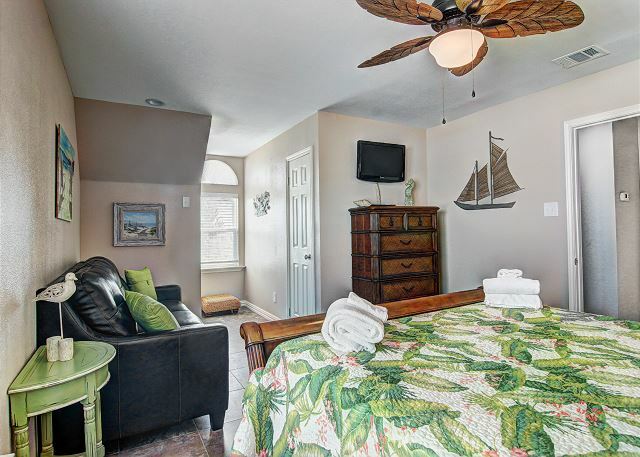 Walking distance to the Beach and close to town. The Best Part about this house is the POOL. We all enjoyed the pool! We will definitely be back here to vacation! Overall, vacation was great! The house had plenty of room for everyone. 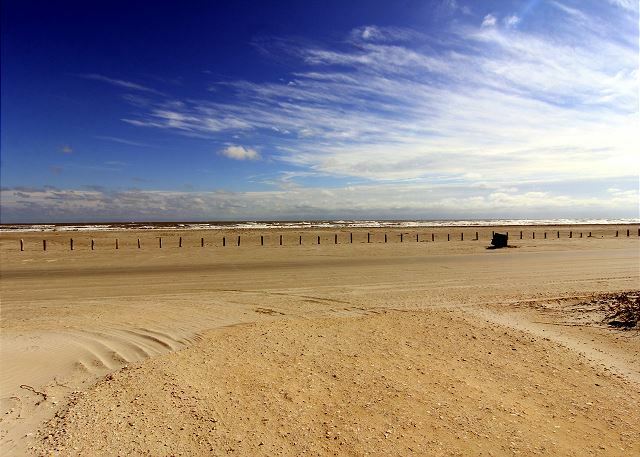 Great location to town, shops, restaurants and beach. The pool area was awesome! Only complaint is it seems like an older house. The installation could be better between floors. Our family had an absolutely fabulous time! The house was awesome we will stay there again! We are glad to hear that you and your family had a great time. Please give us a call when you are ready to come back to Port A. 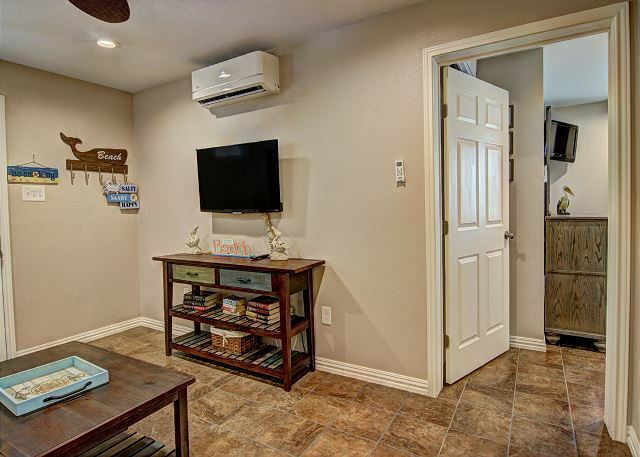 This property is larger than it looks in the photos and was extremely clean and put together. Everything we needed was supplied with the rental. The pool area is beautiful! This place will always have a piece of our hearts. 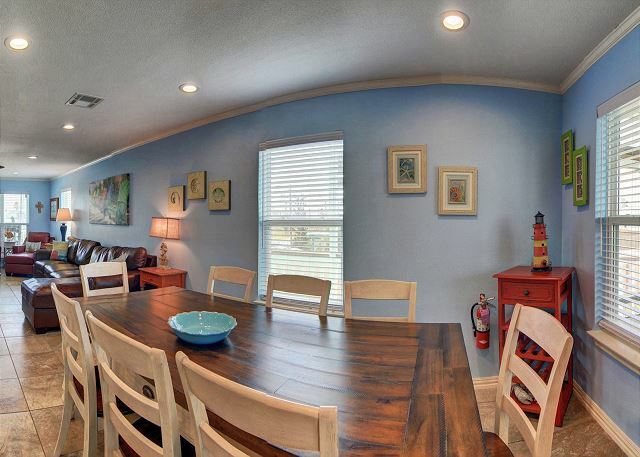 This vacation rental had it all, plenty of kitchenware and utensils, so leave your kitchen at home! Love the layout, the pool, the closeness to the beach, the c looseness to town, and the amount of parking spaces. Unit was well maintained, pool guy came a few times after the storm to make sure it was ready for us, had problems with the grill and maintenance came really quick. 5 BR's, great for a big family. Only mark would be the downstairs bedroom smelt a little musky, sort of like mold, but I still rate this place a 5 STAR! The house was perfect for 7 adults and 6 kids and no one felt crowded. It was centrally located to the beach and town which was very convenient. The pool was amazing as was the outdoor area. Everything was so well maintained and we all had a wonderful time. We can't wait until next year because we will definitely be back. This house was just perfect for our family Easter weekend! It accommodated the young and old. We had age range 6-75 yrs old. Plenty of beds and bathroom space for everyone. Very spacious and clean. The pool is a definite plus. It was very clean and the yard immaculate. It had a great fenced in yard and was perfect to let our dog roam without fear of her escaping through a hole! Overall we would definitely rent this home again! Kudos to Port A Escapes also for their great service! We are glad to hear that you had a great time and enjoyed your stay. Give us a call when you are ready to come back and do it again. We rented Barefoot Dreams for month of February 2017. The location was fantastic about a block walk to the beach. The house was as shown, clean, well equipped and very comfortable. The new pool area outside was a wonderful oasis! Just beautiful. Pool was to cold to use but we were outside daily enjoying the sun in a very pleasing environment. We had plans to go and see so many things but with the weather being so great all month it was hard to want to go anywhere. Our days consisted of spending time at pool, beach and back to pool area. The screened in porch is a great feature also and we had several dinners out there. 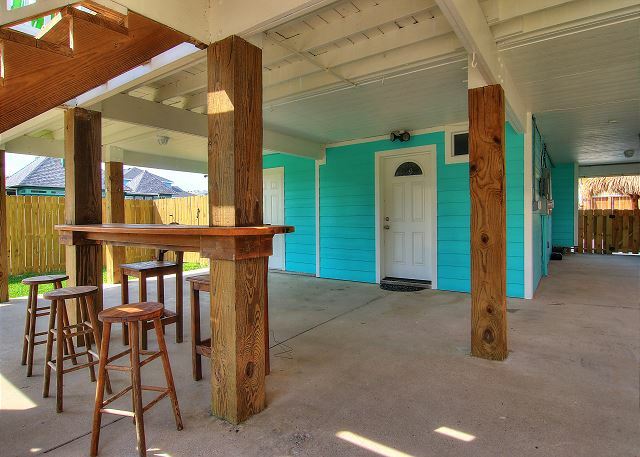 The only thing that could make it nicer is if there was a light and ceiling fan on porch. 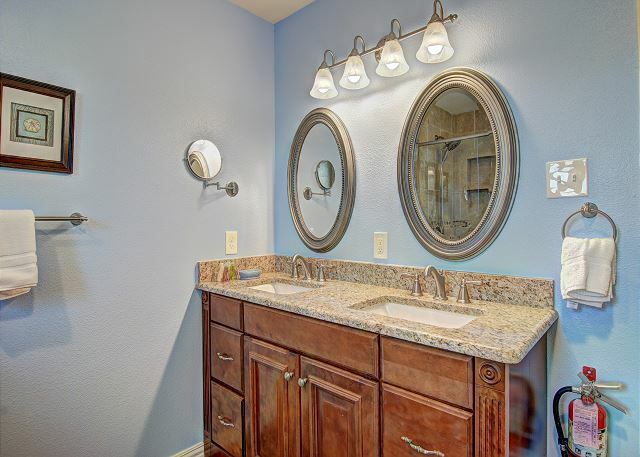 You can tell the owner takes a lot of pride in this property and Port A is great to work with. If there is a problem they are there in no time to address any issues. We are renting this property again next year. House worked out great for us. We had 13 for Christmas then got to relax for a couple of weeks. Short walk to beach and the sea food is outstanding. Second time for us and still fun. EVERYTHING FROM THE FIRST CALL WAS GREAT. THE HOUSE WAS ABOVE WHAT WE EXPECTED . WE ALL WANT TO COME BACK AND DO IT AGAIN. ALL OF US GIVE PROPS TO PORT A STAFF. THANK YOU !! Great house. Right on a beach access road. Excellent layout. Fenced in back yard. Plenty of parking. This house was PERFECT - easy walk to the beach. We had 4 familes, all with kids, and this accommodated us well. Plenty of room for kids and bathrooms/closets big enough for a pack-n-play! We'll stay here again! House was perfect for our group of 10. 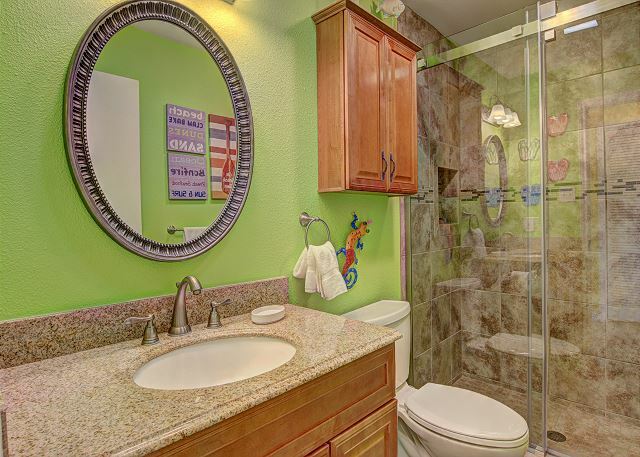 Lots of space and all the amenities required for a fun weekend. The weather didn't prove to be so great so we were forced to stay indoors for half of our trip but the space the house provided allowed us to play games, cook, watch tv, even dance some without feeling crowded. Would highly recommend this home. 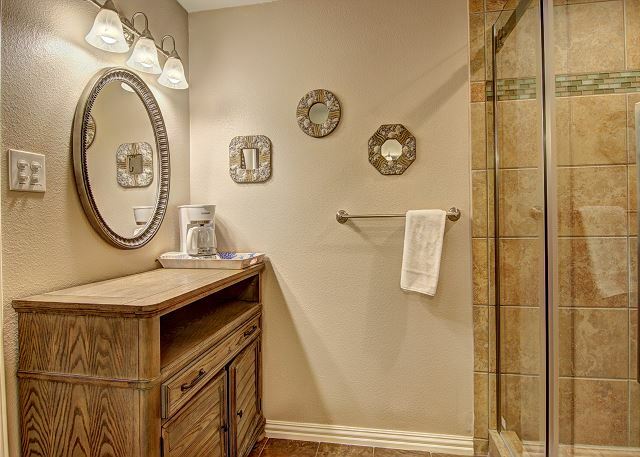 We are glad to hear you enjoyed your home along with all of its amenities. 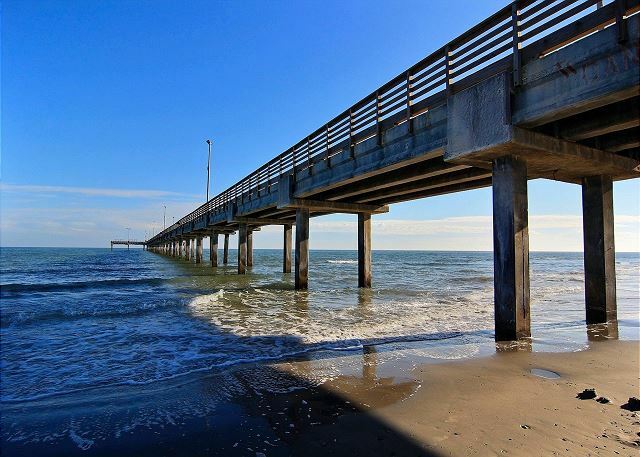 Hopefully the weather will be a little nicer when you're ready to come back to Port A. We are glad to hear you enjoyed your escape to Port A. Just give us a call when you are ready to come back. This was our second stay at Barefoot Escapes. The house is great for our family because there is so much room. The men enjoy the patio and the little outdoor bar downstairs. It is the perfect place for them to cook and enjoy their adult beverages. The house is well kept and the kitchen accommodating. Wonderful! All was nice and clean with all the comforts of home. Great vacation. Fit 7 adults and a baby comfortably. Cooked large meals and the kitchen had everything needed including BBQ outside. 5 minute walk to the beach but no direct ocean view. We rented a golf cart and was easily able to get around town and to the beach without actually needing a car. Everyone was very impressed with the house, they all chose their rooms and unpacked. 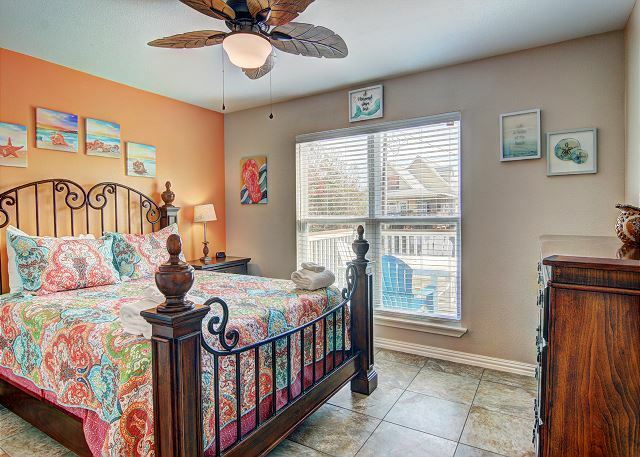 The fifth bedroom was use by someone who didn't mind the smell. Once the AC was turned down to 72 you didn't notice it as much. She was happy to have her own bed & bath. The vacation rental was very roomy and clean. Was also close to beach and shops. We enjoyed our stay and will stay here again next time. Excellent customer service and accomodations! 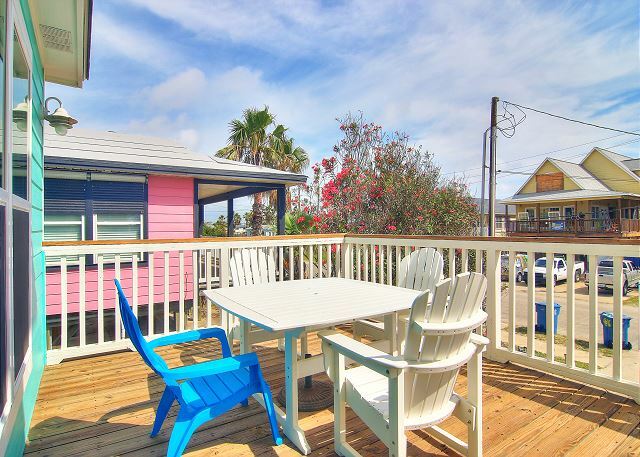 Our first time staying in Port A. From the get go, the experience was excellent! The experience started with an awesome mobile app that provided confidence and detailed information on our forthcoming visit/rental. Upon arrival, the rental Staff was prompt, very friendly and they made it QUICK AND SEAMLESS to check in and out. The house was perfect. The distance to the beach was about a block, low traffic and close to stores and restaurants. The house was clean, comfortable and literally had all of the amenities of home (cookware, grill, pots/pans, TV's...you name it!). It was a home away from home! What a great house. It was amazing! We rented this house for the month of December for the family. 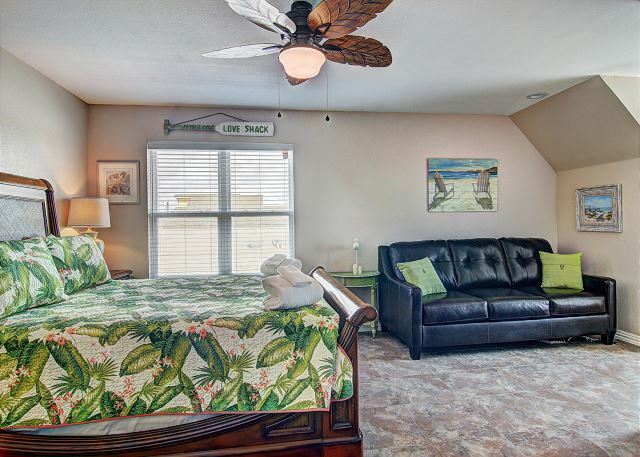 It is so comfortable, close to the beach and pet friendly. I would definitely rent again. We found a agent and are going to purchase a home of our I own. This house was perfect for our family. Our children are all adults and the way the bedrooms were furnished worked perfectly. 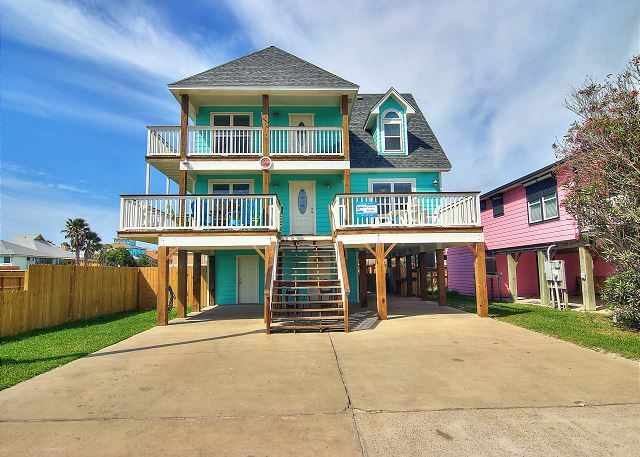 The house is within blocks of the beach. Had a really awesome memorable family vacation! Property was as described. Location is best. We didn't use the first floor bedroom because of a musty smell. Top two floor were perfect. Great location. Was able to walk to beach. House was big enough for our family. Yard guy however mowed and did not blow the grass trimmings so had grass all over our stuff that was on the driveway under the house and had to sweep it all up. Other than that it was a great place to stay. I loved the house. 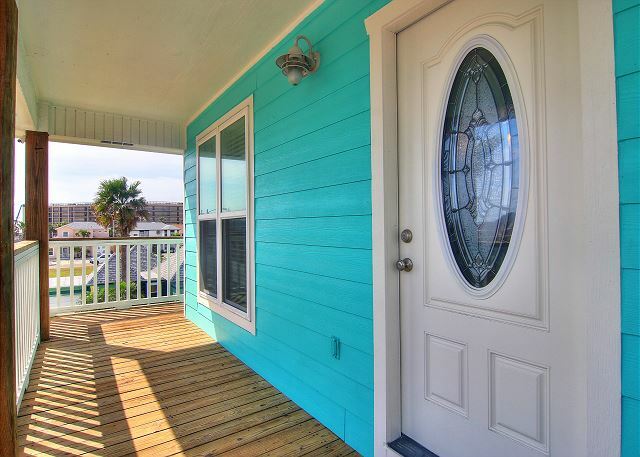 The beach house was everything we had hoped it would be. It was just like the pictures on the virtual tour. Everything was in great condition. The air-conditioning, tv, washer/dryer all worked well. We did not have internet at first, but after we called them, they had someone over to get it fixed in an hour. The house was close to the beach. It had a very big backyard for our dogs. The grass was green. 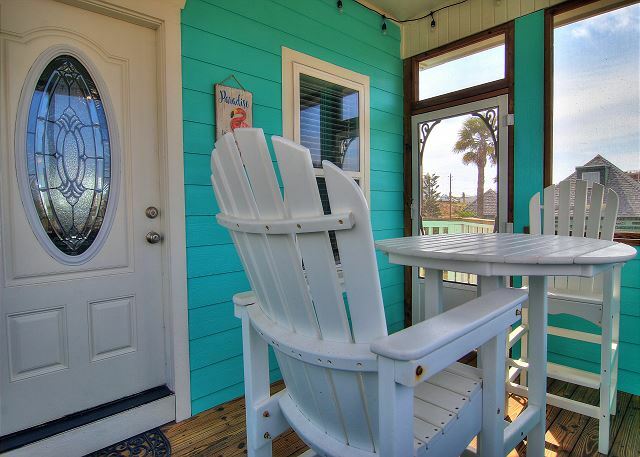 We enjoyed the front deck very much with the chairs, table, and turtle bench, and also the back small deck. Getting to sit out on the decks with the beauty of the sunrise and sunset along with the palm trees and sea breeze was great. The private room downstairs was great for our youngest daughter and husband. The bar with stools came in handy down below the steps. We cleaned and cooked shrimp down there. The lighting was great. We appreciated the lights in the backyard and back steps. We cooked hamburgers on the grill in the backyard. It was a beautiful house. We loved all the furnishings and decorations. We also appreciated all the kitchen dishes and utensils. We would love to be in that house again sometime. House was very clean and decorated very nice. My family and I stayed for 3 nights and wished we could have stayed longer. Just a short walk to the beach. Nice place to be in Port A. Nice house. Easy walk to the beach. Would stay there again. I took the staff with the families on our annual vacation & we stayed here. It worked out Great! Beautiful location and home. Plenty of room for the kids to run and spread out. I would recommend this home to anyone, either a small family or large groups! Great location, lots of room and lots of fun for our family. The house was cool, the beds were comfortable and clean. We had four couples and 2 small grandchildren. There was plenty of room for everyone to have their own space yet all gather in the family room. Location was great as we could walk to kids to the beach. I booked the property to celebrate my birthday. There were 4 set of couples for this event. This location was perfect for all of us. No one had to sleep on a twin bed or a futon. But the room was spacious enough if we need a little more room. The property was updated and well kept. Minus the construction on the main road (not a property issue)...we absolutely loved everything. I plan to be using this exact property for all my future bookings. It was also extremely convenient to the beach! It was the first time my entire family has ever gotten together for vacation time. This proved we could do it! We loved being close to the beach - walking distance. There was ample parking space for all the vehicles. Thank you! Slept 13 of us very comfortably. Wish we could've stayed longer. Loved that we could bring the pups. Place was even better than the pictures. Would definitely stay again! ~THE HOUSE WAS ABSOLUTELY COMFORTABLE & BEAUTIFUL. LOCATION TO THE OCEAN WAS JUST PERFECT... NOT TOO CLOSE & NOT FAR AT ALL, WITHIN WALKING DISTANCE. WE FELT SECURE AND WELL CARED FOR BY THE PROPERTY MANAGERS. THE HOME WAS WELL EQUIPPED WITH HOUSE GOODS, KITCHEN ESSENTIALS AND NICE TV'S. 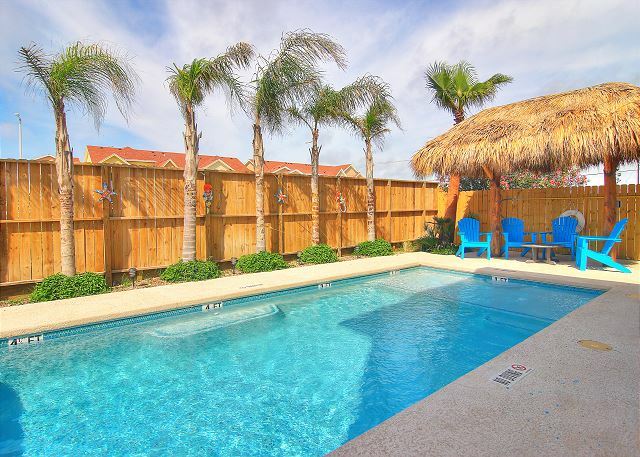 OUR PETS WERE HAPPY AND COMFORTABLE AND THE FENCED BACK YARD PROVIDED EXTRA SECURITY FOR US AND THE PETS. 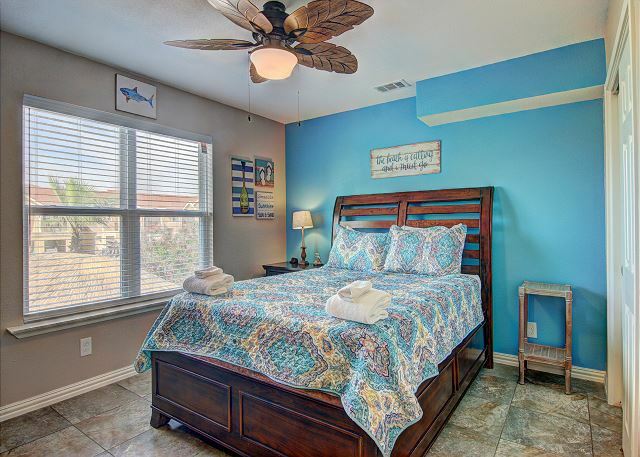 THANK YOU FOR A BEAUTIFUL TIME, WE'LL DEFINITELY USE PORT ARANSAS ESCAPES TO PLAN OUR NEXT BEACH VACATION AND MOST OF ALL WE WILL RECOMMEND IT TO OUR FAMILY AND FRIENDS. WE THANK GOD FOR ALLOWING OUR FAMILY TO HAVE ONE OF OUR BEST VACATIONS EVER :) THANK YOU, PORT ARANSAS ESCAPES FOR ALL YOUR HELP. GOD BLESSSINGS IN THE NEW YEAR AND HOPEFULLY... SEE YOU ALL SOON. PS. THIS COMES FROM OUR FAMILY MEMBERS & FRIENDS THAT CAME TO VISIT US DURING THE MO OF DEC 2012. Only complaint was that we did not have access to Internet as described. Otherwise, we really enjoyed this clean, modern house, being within walking distance of the beach was a real plus, with easy access to town also. This was one of our best vacation places ever! 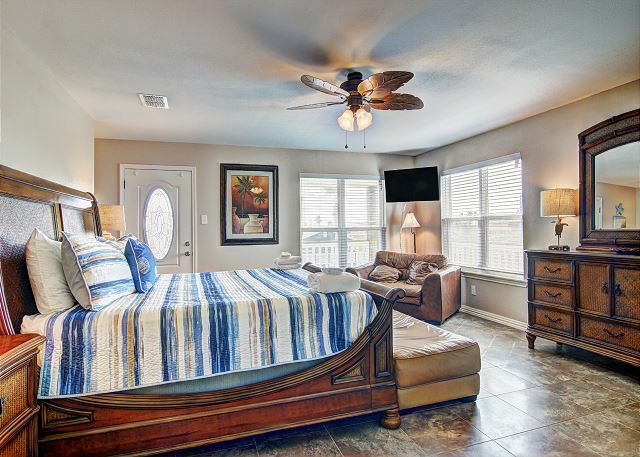 Clean,lots of room and close to the beach. 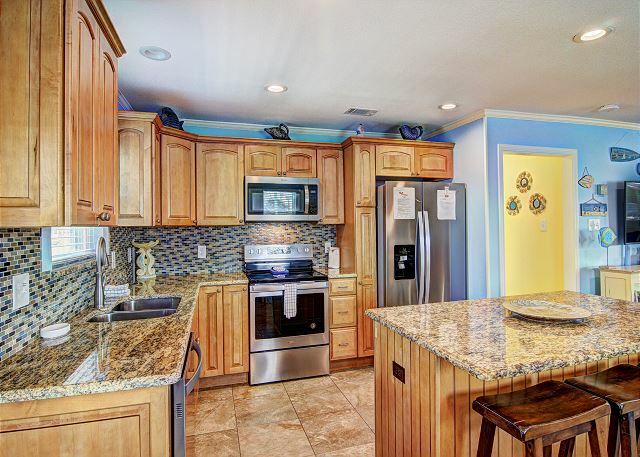 Loved the kitchen area with large island to serve from. Would have liked all the TV's to have been hooked up to cable as we could only get the one in the living room to work. Only complaint other wise would be bring your own can opener and toaster as those did not work well. Great house. Great location. TV did not work and BBQ grill needs to be updated, but perfect otherwise. Great Stay At Port A !!! 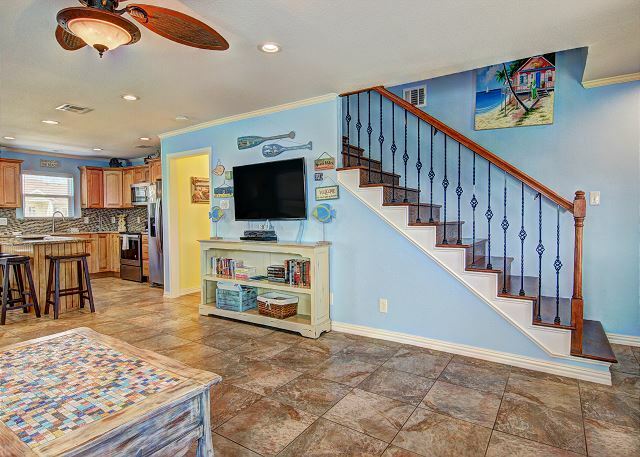 The place is walking distance to the beach and the house can accommodate a large family. 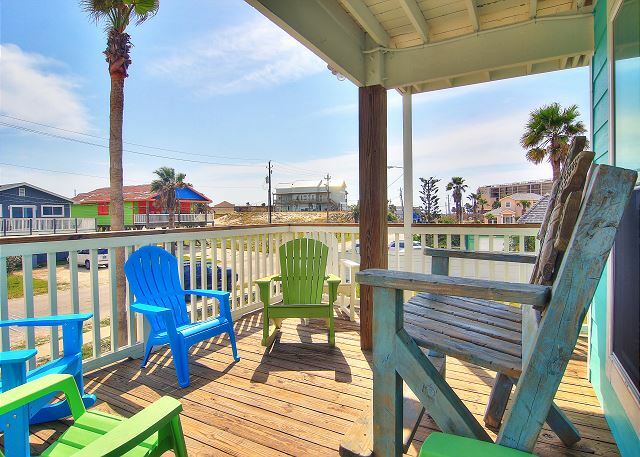 If you like Port Aransas its a great place to stay. 12 friends and family easily fit into this rental. 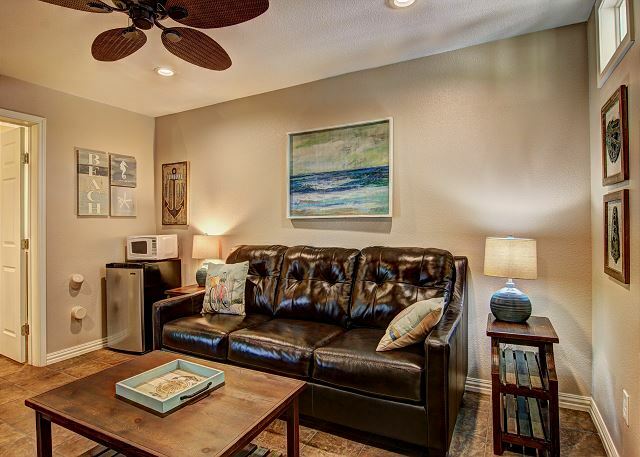 Beautifully furnished so you felt like you were at home. Close to te beach so the little red wagon worked great with the little ones but far enough away that it was quiet all night. Overall, a great time. We' ll be coming back. Great location and lot's of fun. We stayed at Barefoot Dreams in mid april. The house was extra spacious and very nice on the inside and out. The backyard quite large and there was plenty of parking. I would definitely recommend. 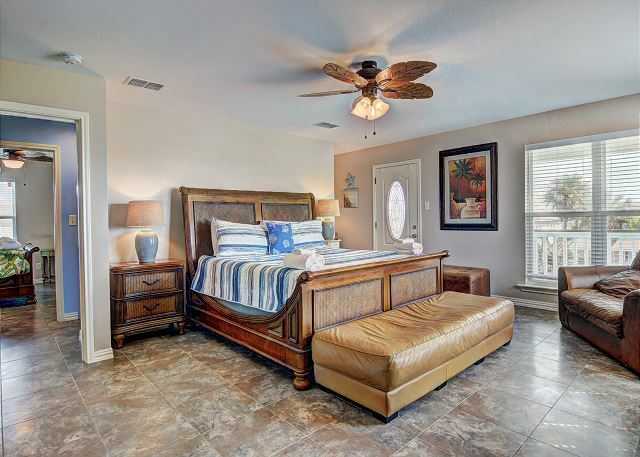 This is a wonderful home with lots of space and a great location. We particularly liked the front and back decks so we could enjoy the morning and evening sun. We have stayed here for 3 years and hope to be back. Everyone in our group had a Great Time. We loved the location-being so close to the beach. The house w/5 bedrooms was great ,also. Hope that in the future we will be able to rent again. Hope everyone that rents this property enjoys it as much as our bunch did. The only concern we had was there needed to be more then one roll of toliet paper per bathroom and the departure instructions stipulate the rental needed to be cleaned afterwards with use the W/D for towels etc. The owner should, as in other rentals from the web site, supply said commities. We had to purchase cleaning products and Tide in order to meet the stupulations. Other rentlas we have used from the VARBO WEB site have had such items in place. Overall we enjoyed the rental and would highly reccomend it to others, having done so already. Only suggestion I would make would be to have a few amenities like small laundry detergent, coffee filters, a few spices & condiments, inexpensive beach towels...if not then a list provided to potential renters of items suggested they bring. We had a great time at the house in Port Aransas.